Very Good. 0802119190 Ships promptly from Texas. 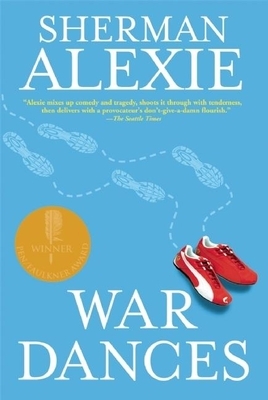 Alexie certainly has a fallback type for his characters; angry and funny. While I recognize that this is a recurring pattern, I still respond to these characters. Perhaps I am his ideal reader, identifying with every manifestation of witty/pissed off narrator he offers up. But it may also be because of his plain yet pointed style of prose, which is just so effortlessly readable. I think he could tell any story about any person and I would just drink it in. Many of the characters in War Dances fit this pattern, and it might become a little wearing for those who do not automatically respond to that type of narrative voice. However, he is a keen observer of human nature. I think his ability to put his finger on the source of these characters' anger is what makes him so worth reading.